Serbian war-crimes prosecutor Vladimir Vukcevic announced at a news conference today that Serbia has issued an international warrant for the arrest of the late Mother Teresa of Calcutta, an ethnic Albanian accused of atrocities against Yugoslav soldiers and civilians during the conflict in Kosovo of 1998-1999. 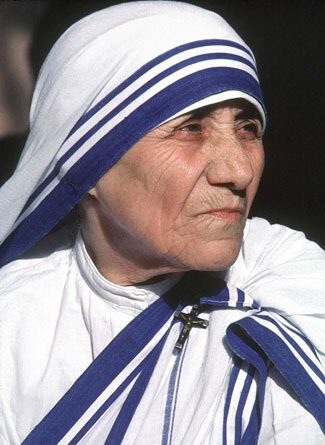 Mr Vukcevic rejected criticism that the case against Mother Teresa was politically motivated, insisting that the allegations against her were valid: ‘I believe there is a sufficient level of reasonable doubt for an investigation to be carried out regarding these crimes’ he told the news conference. The issuing of the international warrant means that Mother Teresa is in danger of being arrested, should she travel outside India, the country whose citizenship she held and where she lived until her death in 1997.